It is hard to argue with the design expert who says that few decor elements are as fundamental as an area rug. After all, it is not only the enormous range of choices available, with rugs in any size, shape, pattern, color, texture and material. It is also that a rug makes such a huge statement about the rest of the space. It can (and should) set the overall tone and serve as a good indicator of your personal style and design preferences. For example, you love natural materials and stick to a greener lifestyle. Because of that, your home probably has wood floors and avoids most synthetics. The ideal rugs for your living spaces would be made of natural materials like sisal, cotton, wool or silk. But you might ask, how do you begin to narrow it all down and make the right choices? That’s what we are going to consider throughout the rest of this article. 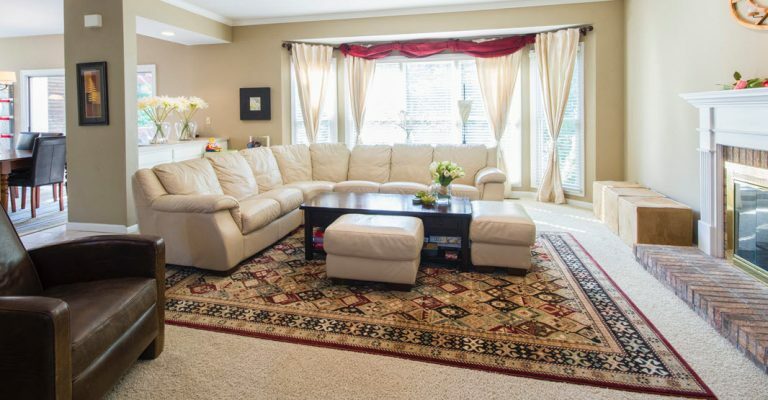 It is really impossible to make the right choices in living room rugs without first considering the many ways you could layout the furnishings in the space. Measure your living room and any existing furnishings. Draw a floor plan that shows the windows and doors in the space and then start to experiment with the ways you can position the furnishings. 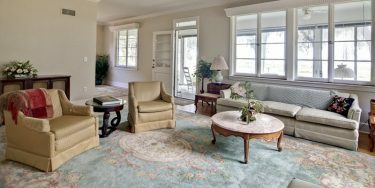 Once you have your specific sitting areas and traffic areas in mind, consider how rugs can help to accent or improve those zones. Remember that rugs come in almost any size imaginable, and so you can use a smaller rug to frame a coffee table in the center of a sitting area or you can use a larger rug that frames the entire sitting space. And don’t forget that rugs are not just variations on a square but can be round and oval in addition to rectangular and squared. Always remember that a rug has to serve a daily purpose of protecting the floors in addition to being a decorative element. 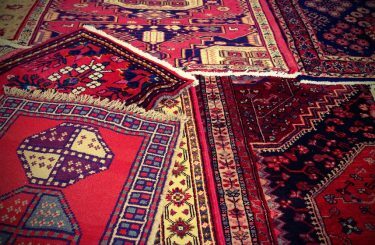 Don’t ignore the amount of authentic wear and tear that any rug will experience. 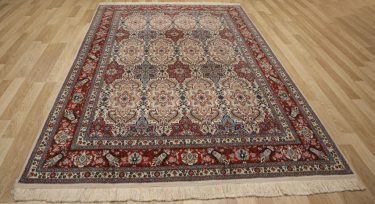 If you use a runner in the traffic area, it can be appealing to add color and style with a valuable and beautiful Oriental rug, but be sure that traffic from pets, people heading indoors and outdoors and even where the sun strikes the floors won’t do it a lot of harm. 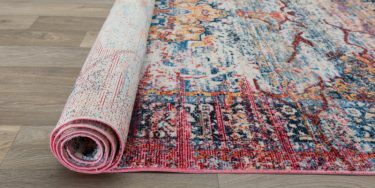 Whether you are decorating a brand new space or updating a living room with a lot of pre-existing furniture and décor, think about the ways that a rug’s texture might bring some interest into your home. As an example, you like a mid-century modern esthetic and have opted to use a round rug for the living room’s main sitting space. That is a fantastic choice, but would a deeper piled rug add a bit more authenticity or visual strength? Would it feel great under bare feet? Consider the proper position, the ideal size and shape, and the right texture in addition to such key factors as color and style when choosing a living room rug, and you’ll never go wrong.